There’s one thriller everyone is talking about this spring, and it’s the groundbreaking collaboration between James Patterson and Bill Clinton - THE PRESIDENT IS MISSING. You read that right—the 42nd President of the United States has penned a thriller alongside one of the most prolific and iconic crime writers at work today, and it’s been one of the most buzzed-about novels in recent memory. Thanks to the teams at Little, Brown and Knopf, I had the chance to ask a few of my most pressing questions of both Mr. Patterson and President Clinton—and I’m thrilled to share our conversation with you today! Read on to learn more about THE PRESIDENT IS MISSING, and to discover the enthusiasm for and knowledge of the genre that have fueled this buzzworthy collaboration. If I had to name one thing that I love most about Crime by the Book, it’s how this passion project of mine has opened my eyes to all different subgenres and styles of crime fiction. My horizons have been expanded time and time again—but if I had to name one subgenre of crime fiction I’m still looking to learn more about, it would be the subgenre of outdoor thrillers. Thankfully, Summer 2018 has brought with it two examples of the subgenre that have totally piqued my interest! 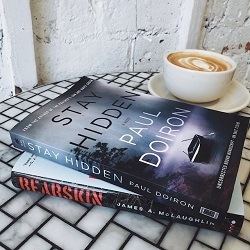 BEARSKIN by James McLaughlin (on sale now) and STAY HIDDEN by Paul Doiron (on sale July 3rd) are buzzworthy for all the best reasons: gorgeous covers, fresh plots, and authors who bring unique backgrounds to their crime writing. I was thrilled to have the chance to ask a few of my most pressing questions of both authors! Read on for a conversation on outdoor thrillers with James McLaughlin and Paul Doiron - and for details on their newest releases! The wait is almost over! Liz Nugent’s sophomore novel LYING IN WAIT releases tomorrow (6/12/18)—I absolutely loved this astute, psychologically complex crime novel, and highly recommend it for your summer reading list! Readers looking for a crime novel with rich character development and a fresh take on psychological suspense will love Nugent’s newest offering. I had the chance to ask a few questions of Liz, and I’m thrilled to share our Q&A with CBTB readers today! In this conversation, Liz and I discuss everything from her affinity for writing complex characters to her advice for aspiring writers and much more. If I had to make a shortlist of authors I would love to interview about their work, Ruth Ware is easily in my top five - if not higher! 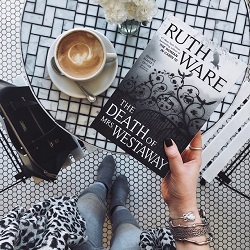 I’m beyond thrilled, then, to be able to welcome Ruth to CBTB today to chat about her newest novel: THE DEATH OF MRS. WESTAWAY. On sale in the US today (5/29), THE DEATH OF MRS. WESTAWAY is Ruth Ware at her very finest. 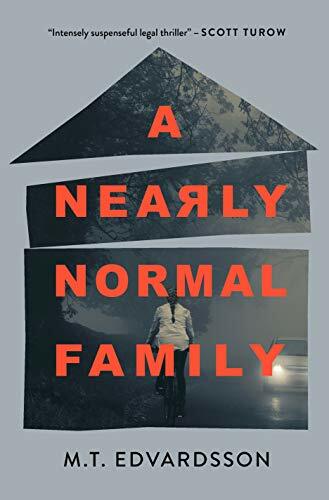 In this atmospheric and quasi-gothic story of long-kept family secrets, a case of mixed identities sets a young woman (Hal) on the path to claim a massive fortune… so long as she can successfully con her way into a wealthy - and very eccentric - family. I’m so excited to share this Q&A with Ruth Ware - I hope you’ll enjoy reading it as much as I’ve enjoyed putting it together!